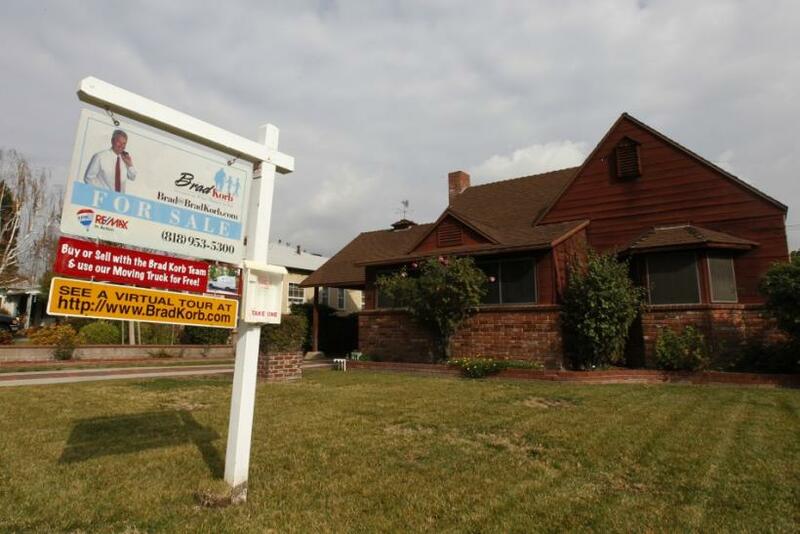 Are Record-Low Mortgage Rates Hurting The US Housing Market? U.S. mortgages rates have plunged to record lows since the euro zone crisis began, but rather than boosting home sales, they are hurting the housing market by making banks less willing to lend, according to a housing expert. Today's extremely low rates are causing banks to tighten lending standards because they are reluctant to expose themselves to potential defaults for minor profits, says Jonathan Miller, president and CEO of New York-based real estate appraisal firm Miller Samuel Inc.
During the housing market peak in July 2007, the average 30-year mortgage rate was 6.7 percent. But on Thursday, the average 30-year mortgage rate hit a record low of 3.78 percent, according to Freddie Mac, the second-largest government mortgage buyer. That drop directly cuts into the profit margins for banks, who either hold the mortgages or try to sell them to investors. As these margins have dropped, banks have become more reluctant to make loans, especially given the risk of a time-consuming and expensive foreclosure process. Already, banks are more cautious after being burned by subprime loans, so low margins increases that caution -- and slows the fragile housing recovery. Low rates are what the housing market doesn't need, said Miller. It reflects a weak economy. It exacerbates the tightness of credit. Or, as he put it in a blog post last year, mortgage rates are too damn low. The result is an environment that's stacked against new homebuyers -- the segment of America that might actually heal the industry. Earlier this month, U.S. Federal Reserve Chairman Ben Bernanke told a Chicago audience that mortgage access is a problem. To be sure, a return to pre-crisis lending standards wouldn't be appropriate, Bernanke said. However, current standards may be limiting or preventing lending to many creditworthy borrowers. Miller's point of view puts him at odds with the National Association of Realtors, which says that housing affordability is at an-all time high because of low interest rates and low prices, which should lead to more buyers. The word 'affordability' is misleading, said Miller. It doesn't look at underwriting standards. And while low prices may be good for buyers, continued erosion can be a psychological deterrent to sign a deed -- both for investors, who are interested in reselling or renting for a profit, and the average resident, whose home will probably be the most expensive single purchase in his or her lifetime. Because low interest rates curb first-time home buying, they have helped shift the majority of new mortgages to refinances, rather than new sales. Homebuyers, whether first-time or not, are especially scrutinized, while those who hold mortgages have benefitted from government relief programs, including the Home Affordable Refinance Program. That spurs refinancing. According to the Mortgage Bankers Association, in the past week refinances made up 76.6 percent of all new mortgage applications, the highest total since March 2. The report doesn't track how many people were rejected for mortgages, but Miller thinks a record number of people have been rejected for a mortgage in the last year. Although the 2008 financial crisis dragged down home prices, mortgage rates stayed around 5 percent until May 2011, when the euro zone crisis erupted. As confidence in the world economy falters through disappointing economic indicators or news of overseas turmoil, more investors flock to the safe haven of Treasury bonds. With the crisis in the euro zone, investors have scrambled to buy Treasury bonds, sending the yield tumbling from to 1.73 percent in April from 2.03 percent in the prior year. Mortgage rates have traditionally moved in correlation with Treasury bond yields. The Federal Reserve's benchmark interest rate of close to zero percent, which is unlikely to rise, has also kept Treasury rates low -- and by extension, mortgage rates. Potential home buyers have struggled to get mortgages because of stricter approval standards; but lenders themselves have enjoyed a return to profitability in their mortgage divisions -- in part because of those stricter standards. For example, Wells Fargo & Co. (NYSE: WFC) and JPMorgan Chase & Co. (NYSE: JPM) reported strong mortgage results in the first quarter and a stronger portfolio. While mortgage approvals continue to weigh on homebuyers, other factors may overcome the housing slump. There have been encouraging signs of a spring revival for housing: Both existing and home sales increased in April, and there have been reports of modest price increases, although gains have mostly been in desirable urban centers like New York and San Francisco. But even if housing improves, low interest rates and the imbalance between refinances and new sales are expected to continue. The Mortgage Banker Association said Thursday it expects mortgage originations to rise to $1.28 trillion this year, up from $1.26 trillion in 2011, but refinances are expected to still make up $870 billion, or around two thirds, of the market. Still, if nothing else, news of low rates seems to have made people pay attention to their options. “Mortgage rates below 4 percent and regular media coverage showcasing ‘record low mortgage rates’ provide sufficient incentive and impetus for borrowers to examine their current rate,” said Michael Fratantoni, MBA's vice president of research.